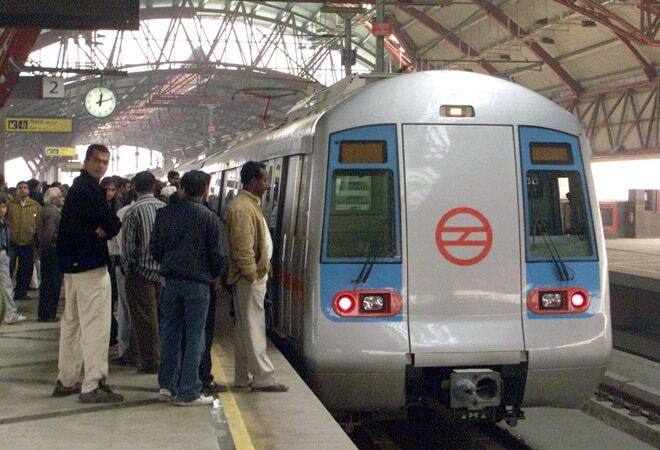 The Delhi Metro recorded its highest ridership on Monday, with 22.92 lakh commuters taking its trains due to a strike by Delhi Transport Corporation (DTC) crews. "The average ridership at 8 pm on Monday is 21 lakh, but today it was 22.92 lakh, an increase of 1.92 lakh," the Delhi Metro Rail Corporation (DMRC) said in a statement. From office goers to school and college students, almost all Metro stations in the capital were filled with commuters all day long while the trains ran packed to capacity. "I left work at 6 pm and reached home only after 9 pm. Usually, the journey takes a little over an hour. The trains were jam-packed and I barely got any room to stand (inside)," said a hassled Latika Gupta, who stays in central Delhi's Karol Bagh and goes to office in Noida. Most of the DTC's 4,705 buses went off the roads on Monday, with hundreds of drivers and conductors massing at the 45 depots spread across the city. A small fleet of buses which plied proved inadequate for the nearly 40 lakh people who use the DTC daily to commute, forcing them to largely turn to the already-crowded Delhi Metro. The strike also affected DTC operations in neighbouring Haryana and Uttar Pradesh.